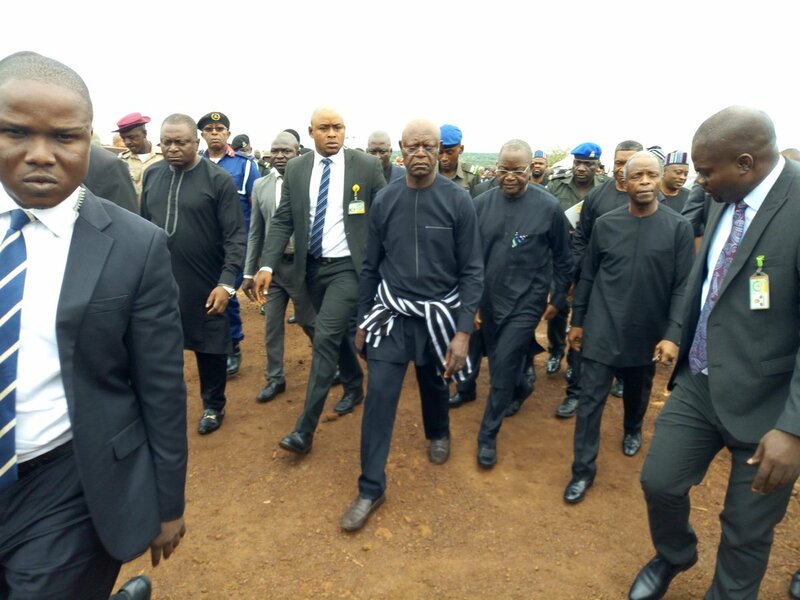 Hundreds of mourners gathered at the Ayati pilgrim site near Ikpayongo in East Local Government Council, Benue State today for the funeral of two Rev’d fathers who were murdered by herdsmen last month. Rev. Fathers Joseph Gor, Felix Tyola and 15 other people were murdered by herdsmen who stormed St Ignatius Quasi Parish on April 24, 2018. In honour of the dead, the state Governor, Samuel Ortom declared a work free day. Friends, family and other concerned people from the state weeped as the deceased were buried at 2:45 p.m. Till date, no one has been convicted for their murder. The Federal Government has been heavily criticised for it slowness in tackling the herdsmen crisis, which Governor Ortom says has claimed the lives of up to 500 people in Benue this year. We mourn you now and always! Your sacrifice remains dear in our hearts. DENISAURUS News understands that catholic priest are currently holding a protest across Nigeria over the incessant killings in North Central states. “The church of God is mourning and we are together,” Mr Ayokunle said: “The President promised to protect the territorial integrity of Nigeria, that has not been done. If he does not know how to do that, let him resign. “People who are killing us are not invisible. They are human beings. They should be arrested and, prosecuted,” he stated.